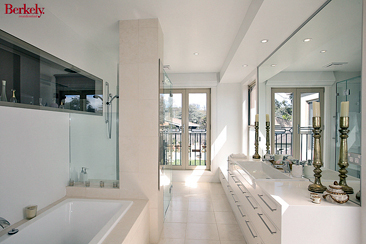 Engineered stone is composed of quartz particles and a highly specialised resin. The process of manufacturing engineered stone for kitchen countertops starts when raw crystals of natural stones, particularly quartz and marble, with sizes that range from coarse grains to rock salt size, are gathered. Once the natural stone crystals are selected and ground, they are mixed and blended with bonding agents and colour. Most manufacturing procedures make use of 5 to 10% resin as a bonding agent to add to the crushed natural stones. The mixture is heated and undergoes a process called vibrocompaction to form a solid and impenetrable surface. The vibrocompaction process produces many large slabs of engineered stone. 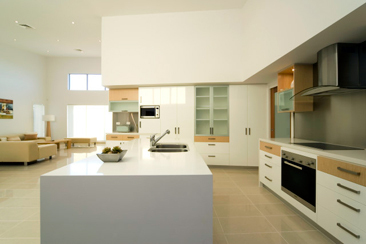 Most engineered stone slabs are composed of 93% quartz and 7% resin pigments and binders. They are free from cracks and fissures. They are also resistant to moisture, water, heat, and bacterial growth. 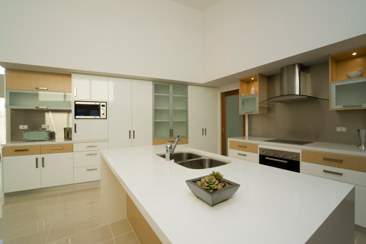 Ideally, all engineered stone countertops should be made up of 93% quartz to be durable, hard, and impermeable. Meeting this requirement can produce a product that is extremely durable, nonporous, less likely to crack or break during fabrication, and up to four times as strong as a granite product. Ideal for: kitchens, splash backs, vanities, laundries, counter tops/reception desks, bar tops, staircases and shower / bathroom wall lining. Engineered stone is stain, scratch and heat resistant. However it is not completely stain scratch or heat proof. Therefore following the correct care and maintenance guidelines will ensure your engineered stone maintains its good looks for many years. Engineered stone is extremely low maintenance unlike granite & marble, sealer is not required. We recommend using warm water & a mild detergent with a damp soft cloth or a non-scratch cleaning pad or sponge. Liquid spills such as fruits, vegetables, food colorings, curries etc, should be wiped up and cleaned immediately. Engineered stone has been designed to be resistant to heat and can withstand exposure to moderately hot temperatures without damage, however excessive localized heat, whether prolonged or sudden may result in thermal shock. There are some strong chemicals and solvents that can cause damage to your engineered stone, such as, paint remover, paint and stain strippers, nail polish removers, bleach, furniture cleaners, oil soaps, citric acids, permanent markers or inks, oven cleaners, drain cleaners and chemicals with a high alkaline ph levels are examples of products that could affect the surface. If any strong chemicals or solvents come in contact with your bench top, rinse immediately with plenty of water, then follow with normal cleaning procedures. Avoid excessive weight being placed on your bench top such as trades people standing on your bench top. Although quartz is quite hard, it can be easily chipped if hit with a hard object. We perform repairs that are nearly invisible at a cost as this is not covered under the suppliers 10 year limited warranty. It is not recommended for outdoor use where it is in contact with direct sunlight as the heat can discolor and warp the stone. This unique product combines shells with fine grain quartz. Because of the introduction of these shells, the areas where the shells are embedded on the surface of the products may be susceptible to staining and possibly react to vinegar, citric and other acids, as the shells are made up of calcium carbonate. For more information plus their full range of products please visit our main suppliers web sites listed below.